A couple of years ago my wireless weather station broke down. Apparently the transmitter of the base unit stopped working and both the indoors display unit and the base station ended somewhere in the attic. One feature both weather stations lacked is logging of data over longer periods. And so a new project was born, using a Raspberry Pi to gather weather related sensor data and store it in a database on my home server. 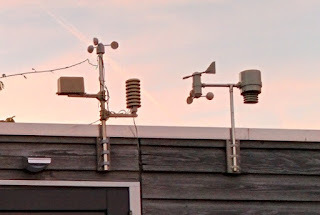 The broken weather station was hacked in all possible ways (new pressure, humidity and temperature sensor) and was mounted next to my other station. This setup has been runnning fine for over two years now. The database contains over 1 million samples which I can view using a web browser and the indoor unit displays both time and weather data from the DKW-2012. Apart from looking a bit silly having two weather stations mounted next to eachother, the indoor unit also suffers from reception problems every now and then. Wouldn't it be nice to have a single weather station that logs all of its data and at the same time display this data on the wireless indoor display? I searched the net for any info on the Alecto DKW-2012. 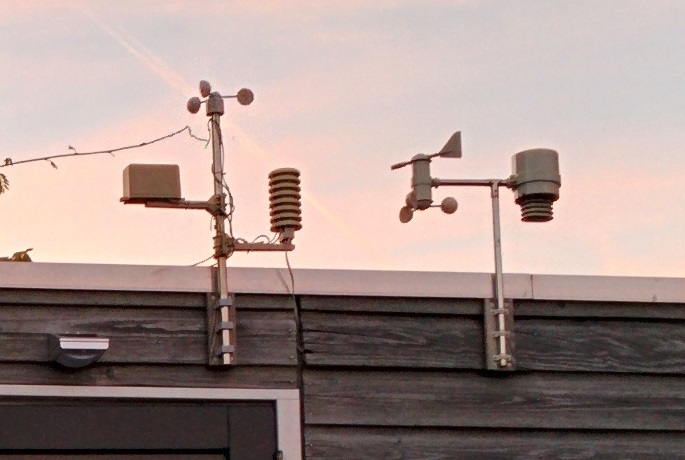 The line of Alecto weather stations is very similar (or identical) to units produced by Fine Offset Electronics. They operate at 868.3MHz and are reported to use either FSK or OOK modulation. Using a DVB-T USB stick I was able to capture the data sent by the base station. Messages duration varies, depending on its content, roughly between 130 and 220 ms. Some code found on the web details the protocol (e.g. nodo) but I couldn't find any project that transmits weather data. I did however find some code by SevenWatt that uses an Arduino and RFM69W to transmit OOK modulated signals. Using this code as a base, a Moteino with RFM69W and the DVB-T USB stick to analyze the actual on-air data I was able to take control of my wireless indoor display! Next step was to actually get some real values from my hacked weather station on the display. My home server, which stores the weather data in a database, also publishes this data to an MQTT broker. A Node-RED installation subscribes to this data and re-publishes each value to topics recognized by an MQTT MySensors Gateway which I wrote some time ago. The gateway distributes these values to wireless sensor nodes in a MySensors network. Request wallclock time from the MySensors Gateway and send this data as a DCF77 encoded message to the wireless display. This process repeats every hour. The same hack also works for an Alecto WS-2900 display! The hack is running rock-solid, and as a result there is a vacant position on my roof now! I happened to find this blog entry by accident doing a "different", then by hop skip and jump to this blog indirectly from the search and via a link between. The picture with the two outdoor sensors is what my question will be about. Specifically the sensors on the left pole in the picture that only has a anemometer at top of the pole and has no wind direction sensor. My questions are did this unit ever have a wind sensor? If so what happened? Second is how long have you had the sensor (on left) with no wind direction sensor? I am familar with the sensors on left, but I am sitting on fence that maybe I need to but something a bit more robust for a Canadian Weather. Good morning, and congrats for your work. I would like to know how do you hack the data from the weather station. Can you read it with arduino and the nRF24L01+? Now in Moteino shop there is no RFM69W transceiver. There is RFM69HCW 433MHz or 868/915 MHz. Which one is the right one to get data from the weather station? I would like to read data from the station to send it to a DB in a server with the correct format. 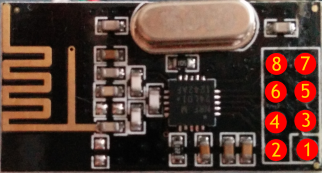 nRF24 is a 2.4GHz transceiver, and my weather station communicates at 868MHz, so the nRF cannot be used for this project. I'm a freelance embedded software designer who's always looking for new challenges!
. Awesome Inc. theme. Theme images by enot-poloskun. Powered by Blogger.